All set for snow! 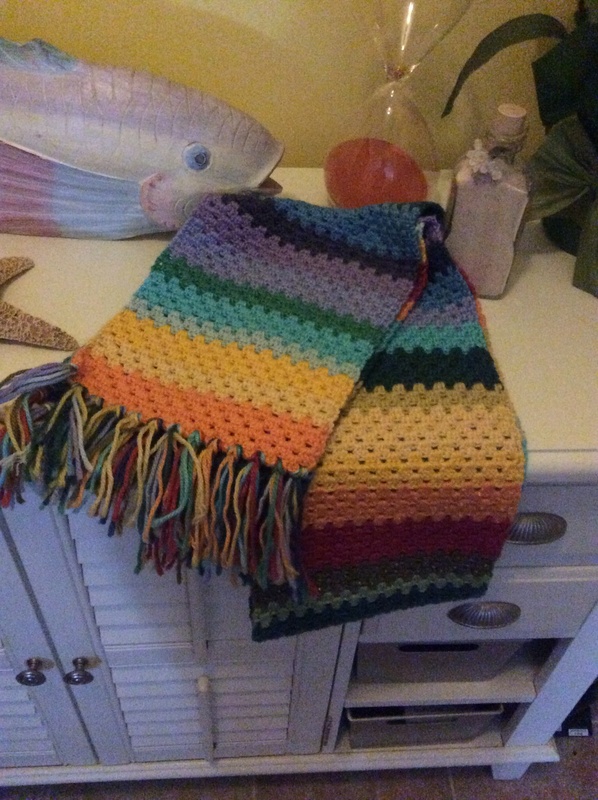 Crocheted Scarf! 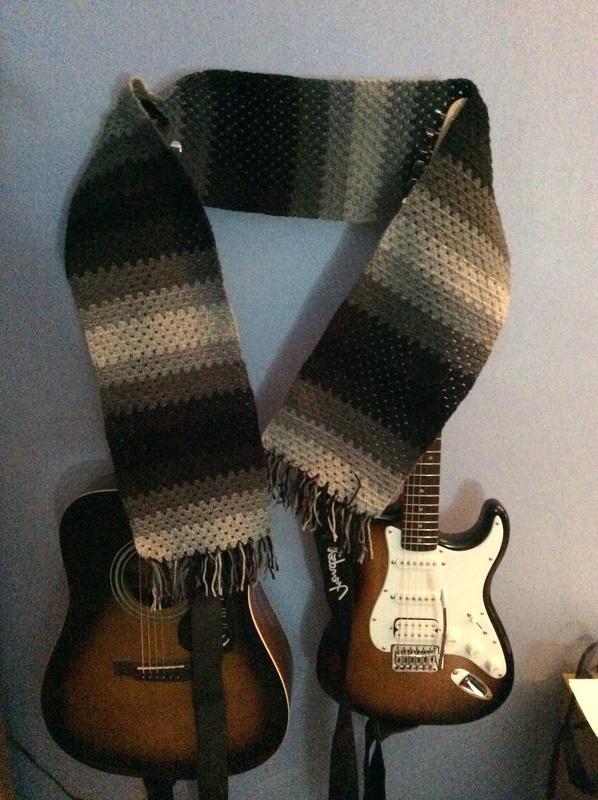 After the holidays I decided to make myself and hubby a scarf so we would be toasty warm if we get any snow this year. Yeah right! Not likely but we’ll be ready. I did sort of a modified Doctor Who 4th Doctor style with horizontal stripes. I didn’t make it near as long as Tom Bakers scarf. I would be constantly tripping over it. I made them about 6 feet in length and about 9-10 inches wide. I used a Granny Stripe stitch. I crochet so tightly that it turned out to be a dense stitch which is what I wanted. Both are made with Worsted weight and I used a 4.0 Addi hook. My scarf was made with Cascade Yarns Pacific yarn from Alpaca Direct. It’s beautifully soft and it was a pleasure to work with. I used 13 colors. For my husbands scarf I used KnitPicks Brava Worsted. Very soft and has a great texture. I used 5 shades of gray, from light gray to black.